Christmas lights are a festive, multi-purpose holiday decoration. You can find them on Christmas trees, outside on bushes, outlining the eaves of homes or even draped along a lawn. 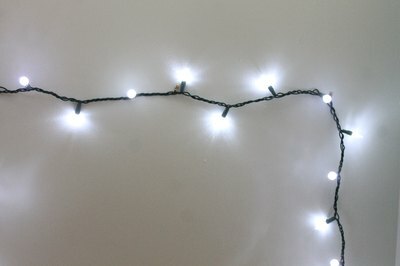 If you are using Christmas lights for decoration, you may find yourself having to attach the string to a flat wall that does not have a surface to which you can clip the lights. 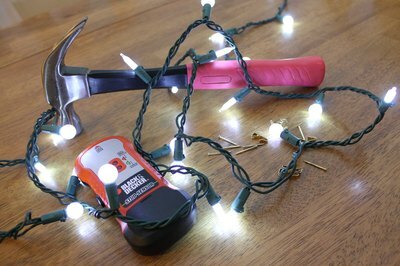 Attaching Christmas lights to a wall, whether indoors or outdoors, is a simple process. 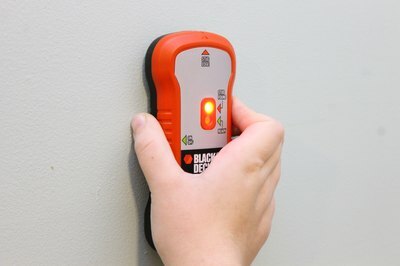 Hold a stud finder against the wall surface to locate a stud. 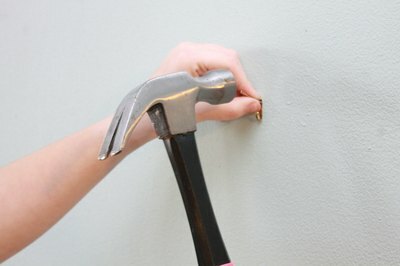 Do not nail anything into drywall because it may not support the weight of the string of lights. Mark the stud locations with a pencil. Hold a nail-on plastic clip against the pencil mark. Insert the pointed end of a nail into the hole in the middle of the clip. Hammer the nail into the stud and through the hole in the clip. Repeat with each clip. Plug the Christmas lights into the nearest outlet. String the lights to the closest clip. Press the bottom of the clip to open the top clamp and insert the string into the clamp. Release the clip. Pull the string to the next clip and clip it in in the same fashion. Repeat until you have lights along the length of the wall. Do not use metal clips or staples to hold Christmas lights. The metal can wear down the light strings and cause shorts.